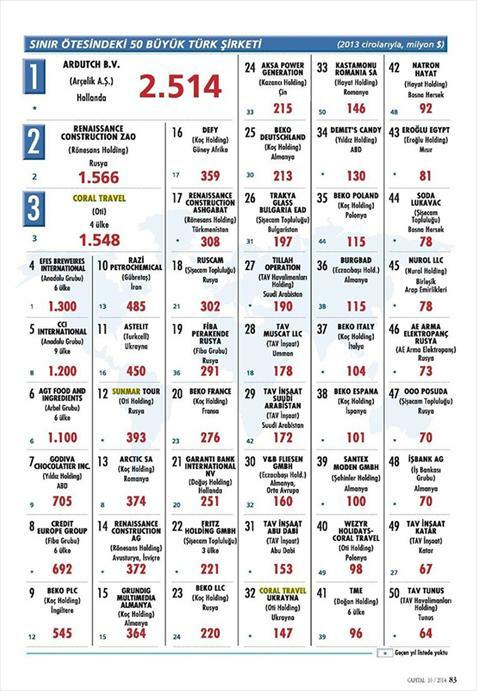 OTI Holding and its affiliates took their places successfully in "Global 50 Turkish Companies" research conducted by Capital magazine every year . 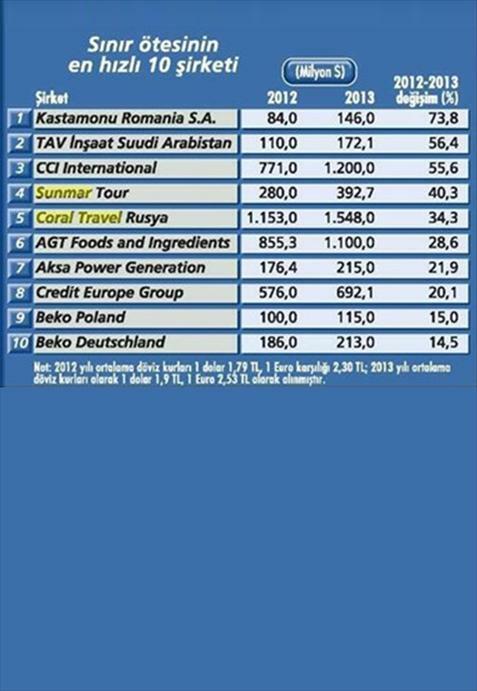 In "50 Large Cross-Border Turkish Companies" study conducted basing on the endorsement of Turkish companies established abroad in 2013, Coral Travel Russia preserved its place in the 3rd rank that it has obtained last year whereas Sunmar skipped 10 steps at once and ranked 12th this year and Wezyr Holidays skipped 9 steps at once and ranked 40th. Coral Travel Ukraine, which took its place in the list this year for the first time, ranked 32nd. Sunmar Tour, which ranked 5th in "10 Fastest Cross-Border Companies" list last year, ranked 4th this year and Coral Travel, which ranked 9th last year, ranked 5th this year. 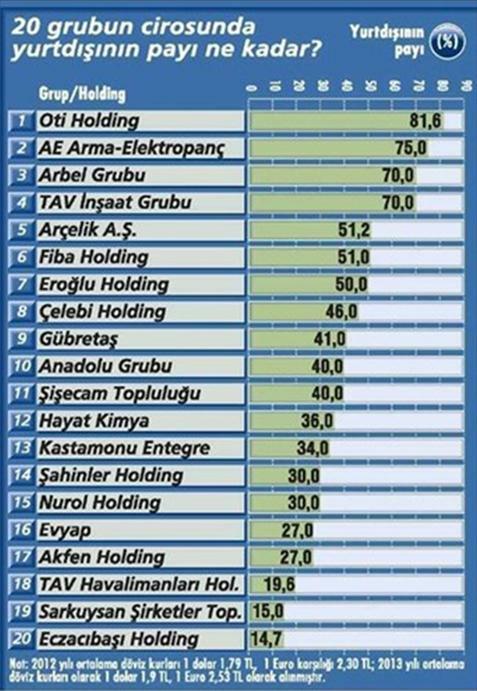 OTI Holding ranked 1st among 20 group companies in the list as the group having the highest share abroad within total endorsement of 2013.